Today we travelled from Mangalore to Goa, through the state of Karnataka. The countryside is beautiful. As you can tell from the photo attached the scenery is not dissimilar to New Zealand, or more accurately a combination of 1800s and 2000s New Zealand. The fields are still ploughed by oxen and the locals live in huts or more often tents. This is juxtaposed with large cell towers in the distance and numerous Suzuki cars. 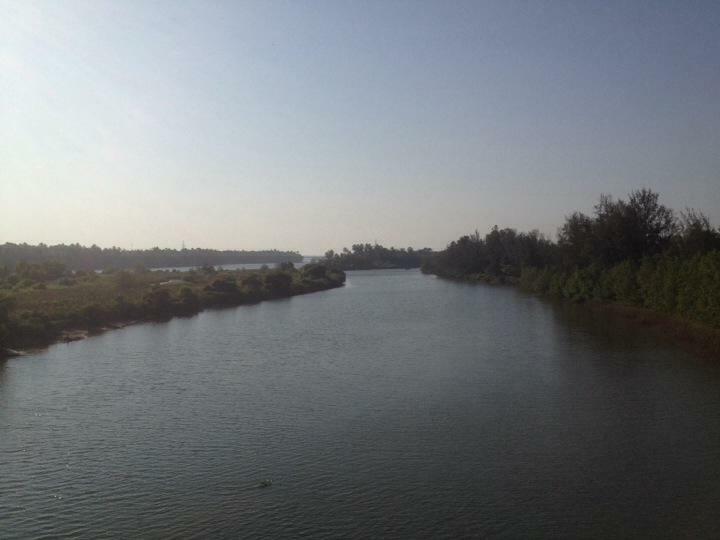 There are also numerous waterways, which I am told is synonymous with all of Southern India. We travelled sleeper class, effectively the 4th out of 5 classes. This cost us $4.50 to travel 450km. The tightass inside me rejoiced. However there are a smorgasbord of different insects to keep you on your toes. A personal favourite of the trip was watching Mark's anguish at being hit by a rouge cockroach thrown at him by the loutish Nick. In saying that, it was bearable, even for a clean freak. I do have to have one b**** and moan. Looking outside the 5 metres adjoining the train tracks are covered in a heavy layer of litter. This is f***ing disgusting. It's not uncommon through India don't get me wrong, but this rubbish can be largely ascribed to middle class train travellers who are too f***ing lazy to keep their rubbish until they leave the train. This scars the countryside and just leaves the locals to clean it up, a task they have clearly not jumped at. Hold onto your f***ing rubbish. We will make it to Goa in the evening, and will set up camp in Cavelossim for the first night, one of the beautiful 12 beaches that make up the wider Goa area. Hopefully Mark can have some more luck in his search for a young maiden to share his riches with. I feel that love is just around the corner for the Prince of Mangalore.